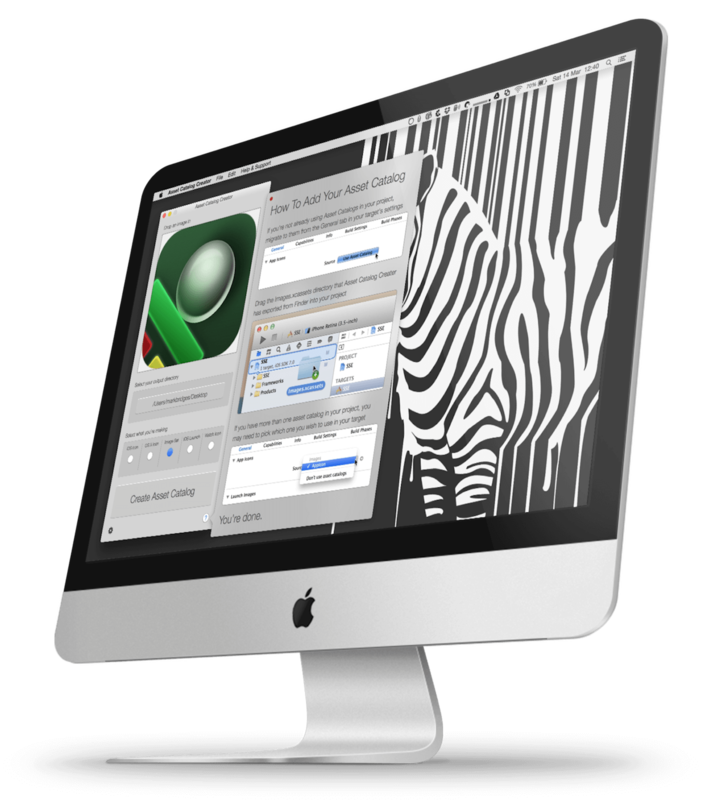 Asset Catalog Creator takes any image and creates a full set of icons, splash screens or universal assets for you. Unlike other icon generators, batch resizers or scripts, these are produced in the latest Asset Catalog format, allowing you to drag just a single file into Xcode and have all the correctly sized and named icons identified, in the right place and ready to use. As of iOS 10 there are 21 different icon sizes required for a universal app as well as 20 different splash screen dimensions! Even if you already have an automated way of batch resizing these it’s a tedious process to identify and drag all of these images into their respective places and then deal with any conflicts. You can point to an existing asset catalog file and Asset Catalog Creator will merge new assets into it, prompting you to overwrite or increment file names to resolve conflicts. If you’re making image sets you can even update an existing image set with additional images specifically for your selected device type; be it iPad, iPhone etc. If you’ve never used Asset Catalogs in your apps before, now is a great time to start. 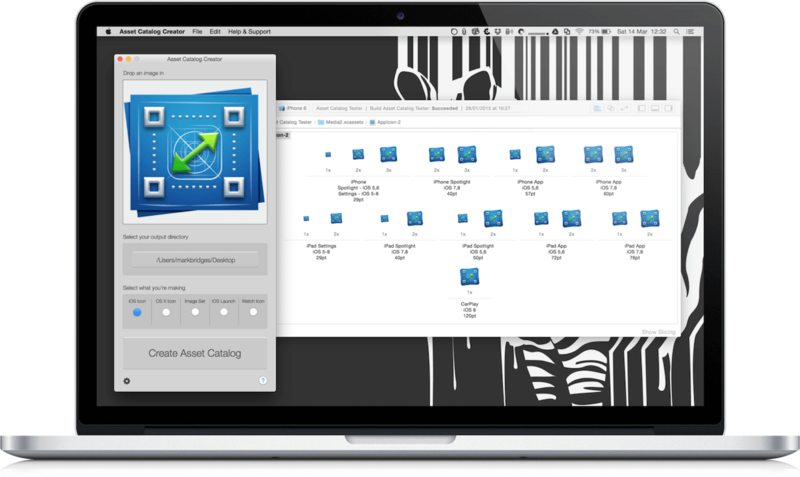 You’ll find managing and organising your image files much easier and you’ll also benefit from improved performance and reduced app install size; thanks to the smarter way asset catalogs are compiled and turned into binaries. Support for all iOS devices; iPhone 7, iPhone 7 Plus, iPad Pro etc. Select your output directory, if you’re exporting into an existing project you can just select the project root directory and Asset Catalog creator will find and update your existing asset catalog.